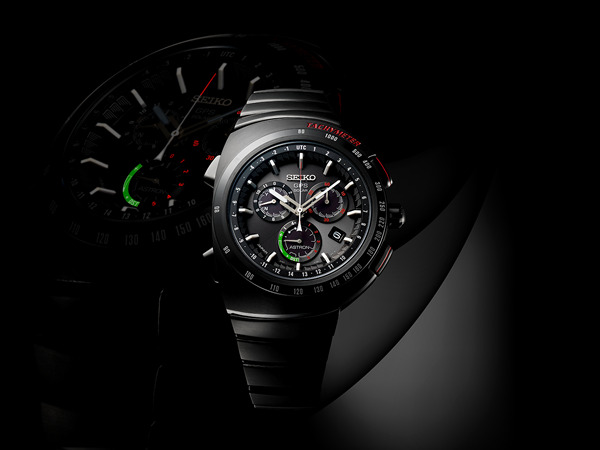 Seiko Watch Corporation is pleased to announce a new Seiko Astron GPS Solar creation made in partnership with Giugiaro Design. 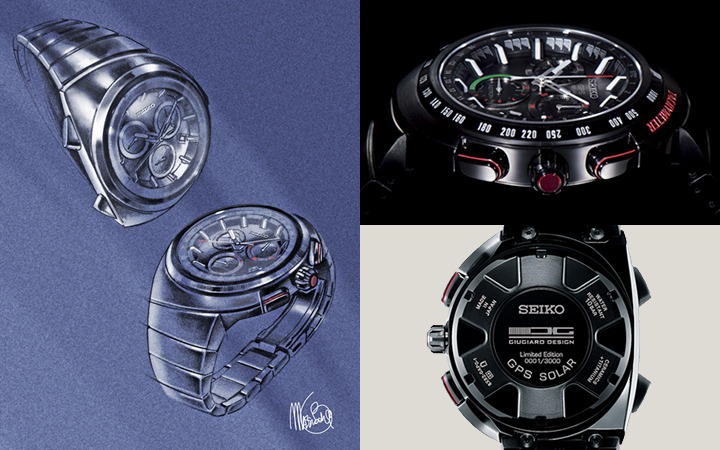 The watch incorporates the remarkable Astron 8X82 chronograph caliber and combines the extraordinary performance of Seiko's GPS Solar technology with the outstanding and greatly admired Giugiaro design concept that first saw the light of day in 1983 when Seiko's quartz chronograph was at the cutting edge of watch technology, just as Astron is today. It is offered in a limited edition of 3,000 and will be available in July 2017 at leading Seiko retail outlets in selected markets worldwide. Astron caliber 8X82 is a chronograph that measures elapsed time up to 6 hours and offers the astounding precision of one second every one hundred thousand years. In addition and, like all Astron calibers, it delivers the ability to adjust to your local time, anywhere in the world, at the touch of a button and using just the power of light. The case and bracelet are made of titanium with a super-hard black coating that is resistant to scratches and which will preserve the sleek beauty of the watch for as long as it is worn. Durability and legibility are also assured by the super-clear coating on the sapphire crystal. The design of this new Astron GPS Solar watch pays homage to the legendary watch that housed the world's first analogue quartz chronograph caliber. 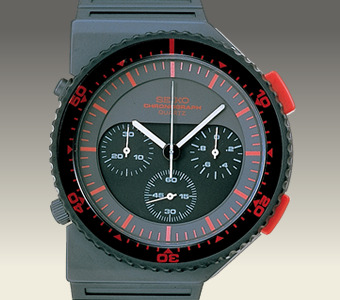 This much loved and now avidly collected watch was developed by Seiko and Giugiaro Design in 1983. It was designed for motor sport, with the offset case allowing the chronograph buttons to be used with ease, even when travelling at speed on a motor cycle. It was an immediate, and lasting, success throughout the world and is still revered by motor sport fans and watch collectors today. This new Astron watch brings together the dynamism and tradition that both companies are proud to share. The strong, sports look of the 1983 original is clear to see in every detail of the new creation, but it has been updated for the next generation with lines that flow aerodynamically across the case like any of the many beautiful sports cars that Giugiaro Design has created down the years. The color combination of black, red and green is pure Giugiaro as is the unique design of the hands and the markers. The power of the dial design is reflected on the case back where a wheel design motif frames the individual serial number. Left: Where it all started. The inspiration from Giugiaro Design. Upper right: The crown and buttons, designed for ease of use. Lower right: The case back bears the Giugiaro Design mark and the watch's individual serial number.